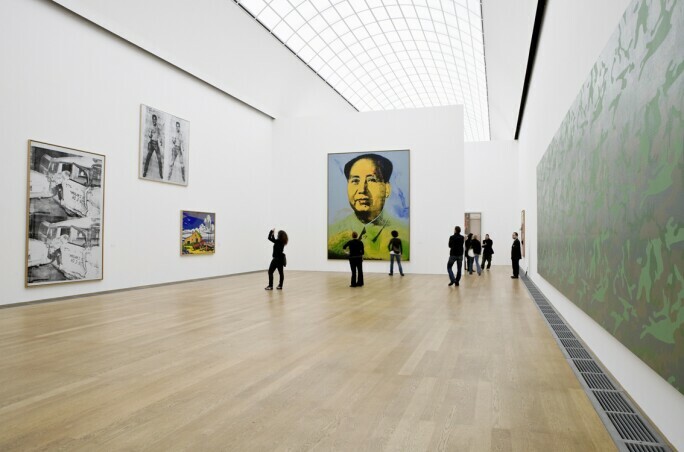 Installation View of Hamburger Bahnhof; Pictured: Andy Warhol, Portrait of Chairman Mao, 1973, screenprint. Image courtesy of Hamburger Bahnhof. The year 2018 marks what would have been Andy Warhol's 90th birthday. His renown has gone on far longer than his once self-predicted 15 minutes of fame. The late American artist, best known for shaping the Pop Art movement of the 1960s, is celebrated worldwide as one of the greatest artists of all time. This fall, the Whitney Museum of American Art will open a retrospective featuring over 350 of Andy Warhol's works - from his earliest paintings to his late films. It is the largest loan exhibition on record, with masterpieces arriving in New York from the world's most prestigious museums and private collections, many of which belong to Warhol's celebrity friends and artistic peers. 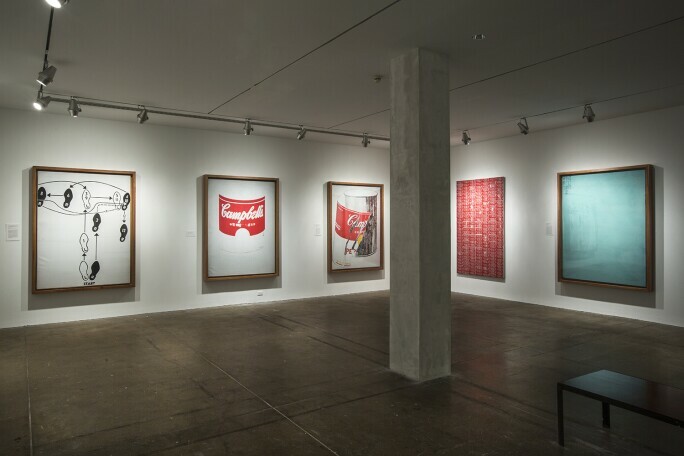 Installation view of the Andy Warhol Museum; Photo: Abby Warhola. Image courtesy of the Andy Warhol Museum. The last such exhibition of Warhol occurred in 1989 when Donna De Salvo, who now serves as Senior Curator at the Whitney and curated this latest exhibition, presented "Success Is a Job in New York" - a show which brought Warhol's pre-Pop advertising career into clear view. 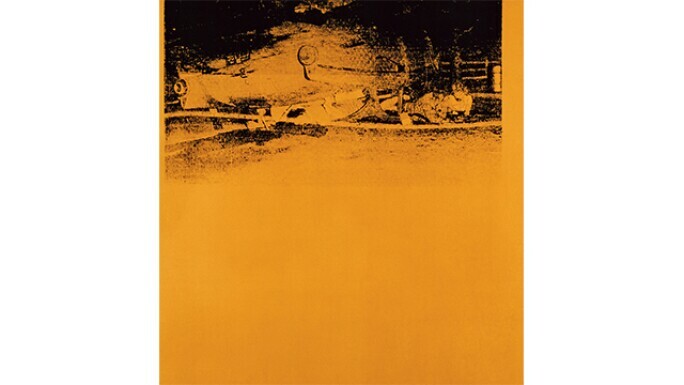 Now, curatorial team member Mark Koiacono matches De Salvo's expertise with equal weight on Warhol's late work, bringing to light some pieces which historically have not garnered as much attention but are, nonetheless, equally important to the artist's oeuvre as well as the history of contemporary art. In advance of the much-anticipated opening on November 12, Sotheby's Museum Network takes a look at some of the best museum holdings of Andy Warhol's work around the world. 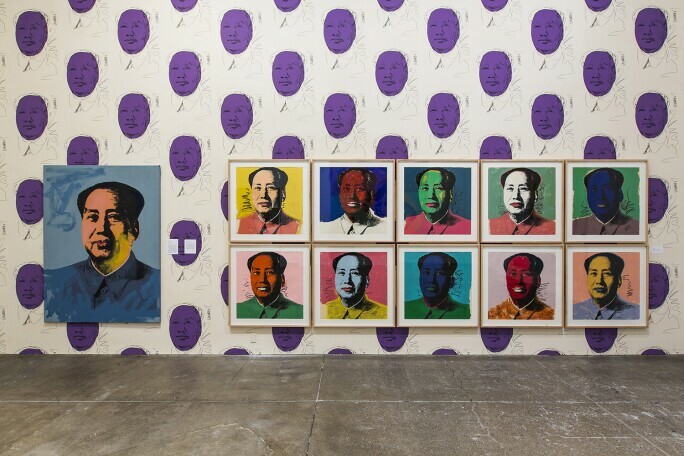 View of "Mao" Installation at the Andy Warhol Museum; Photo: Abby Warhola. Image courtesy of the Andy Warhol Museum. Leading the list is, of course, the namesake collection located in the artist's hometown. The Andy Warhol Museum, close to where the artist grew up at 117 Sandusky Street in Pittsburgh, Pennsylvania, houses 900 paintings, 100 sculptures, more than 1,000 prints and 4,000 photographs covering his entire career, from his student years to his time as a celebrity art icon. It also contains Warhol's time capsules, of which he created 610, each filled with photos and paraphernalia. 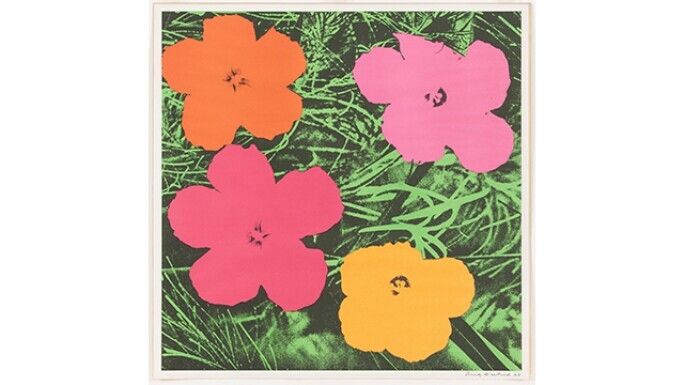 Andy Warhol, Flowers, 1964, screenprint. Image © 2018 Andy Warhol Foundation for the Visual Arts / Artists Rights Society (ARS), New York. Image courtesy of the Museum of Modern Art. 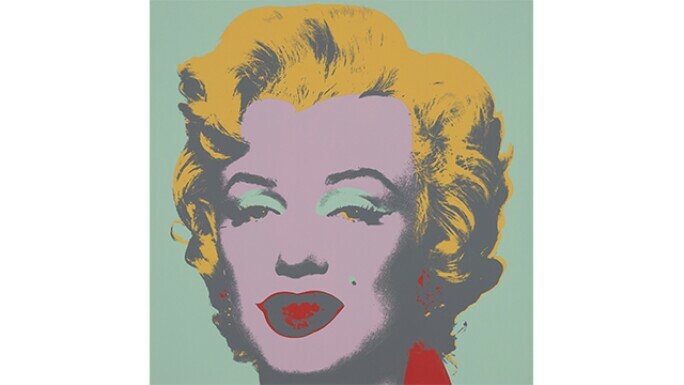 New York City's MoMA contains more than 100 of Warhol's works on paper, as well as several important paintings, such as Gold Marilyn (1962), one of several works based on a publicity photo of Marilyn Monroe, and Campbell's Soup Cans (1962). MoMA also occasionally screens films by Warhol and offers one of the best retail shops in the country, with design objects from totes to china featuring his popular paintings. Andy Warhol, Marilyn Monroe (Marilyn), 1967, screenprint. Image © 2018 Andy Warhol Foundation for the Visual Arts / Artists Rights Society (ARS), New York. Image courtesy of the High Museum of Art. The cultural beacon of downtown Atlanta, the High Museum of Art boasts one of the most prominent collections of art in the southern United States. The Pritzker Prize-winning building designed by Richard Meier in 1983, with an extension by Renzo Piano completed in 2005, is a stunning venue to take in contemporary masterpieces, of which an impressive 23 were created by Andy Warhol. The works are rotated in the permanent collection galleries regularly, though our top pick is undoubtedly the vibrant classic screenprint, Marilyn Monroe (Marilyn) of 1967. Andy Warhol, Jackie Frieze, 1964, silkscreen on linen. Image © 2018 Andy Warhol Foundation for the Visual Arts / Artists Rights Society (ARS), New York. Image courtesy of the Museum of Contemporary Art, Chicago; Photo: Nathan Keay, © MCA Chicago. The Windy City's beloved MCA is an active center for contemporary art, with one of the most visionary exhibition programs in the country. It's permanent collection, however, should not be overlooked. Notable holdings include works by Frida Kahlo, Jeff Koons, Jasper Johns, Cindy Sherman, and Kara Walker. Of course, Andy Warhol is a central figure of the collection as well, and his paintings serve as emblems of a pivotal turning point in the history of American art as outlined in the MCA's collection. One such work is Jackie Frieze of 1964 which combines stills of Jackie's expressions during the assassination and funeral of President John F. Kennedy in a contemporary version of the ancient frieze - a contemporary screen print version of the classical sculptural narrative depicting historic events on the facades of neoclassical buildings and historic Grecian temples. Here, of course, the high altar is the walls of the museum and our goddess is former First Lady Jackie O. The painting, suggestive of a ticker tape or film strip, also nods to our obsession with news media and the elevated status temporal events of popular culture have garnered in the past half century. 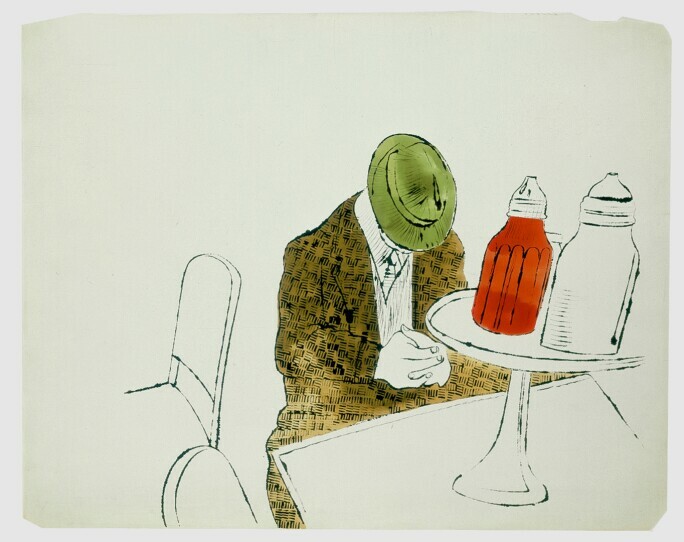 Andy Warhol, Man Seated at Counter, 1958, ink and watercolor on paper. Image © 2018 Andy Warhol Foundation for the Visual Arts / Artists Rights Society (ARS), New York. Image courtesy of the Broad. The Broad is a contemporary art museum founded by philanthropists Eli and Edythe Broad in 2015. Situated in Downtown LA, next door to the Museum of Contemporary Art Los Angeles, the Diller Scofidio + Renfro-designed museum was dubbed ‘the veil and the vault’ for its merging of the museum’s two key programmes: a public exhibition space and the visible storage that supports The Broad Art Foundation’s extensive collection and lending activities to such exhibitions as the forthcoming Warhol retrospective at the Whitney. As one of the most prominent holdings of post-war and contemporary American art worldwide, it's no surprise that the Broad has made LA a new go-to destination for Warhol fans. 26 masterpieces by Warhol call the Broad home. The entire collection can be viewed online, and is notable for its holding of some of Warhol's earliest sketches including the work pictured here of a man seated at a diner counter. Andy Warhol, Five Deaths, 1963, silkscreen ink on canvas. Image © 2018 Andy Warhol Foundation for the Visual Arts / Artists Rights Society (ARS), New York. Image courtesy of the Museo Jumex. Across the border, the Museo Jumex is an important player in Mexico City’s contemporary art scene, staging exhibitions of major artists including Andy Warhol, Walid Raad and Fischli and Weiss alongside group shows of Latin American work. The museum building is the first work in Latin America by architect David Chipperfield. Amassed by entrepreneur Eugenio López Alonso, heir to the Jumex fruit juice fortune, the private collection includes modern and contemporary masterpieces including Warhol's Five Deaths (1963) - a monumental canvas created at the zenith of Warhol's career. 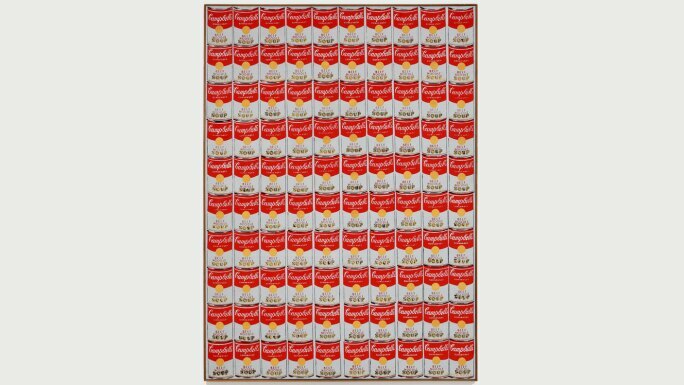 Andy Warhol, 100 Campbell's Soup Cans, 1962, screenprint. Image © 2018 Andy Warhol Foundation for the Visual Arts / Artists Rights Society (ARS), New York. Image courtesy of the Museum für Moderne Kunst. Frankfurt's MMK may not be the place you would expect to find Warhol. Yet, the core of the collection is composed of a strong holding of over 65 works of Pop Art and Minimalism, including works by Andy Warhol and his contemporaries Roy Lichtenstein, George Segal, Yves Klein, Gerhard Richter and others. The collection came to Frankfurt under somewhat unusual conditions; originally assembled by German art collector Karl Ströher in the 50s and 60s, the collection was intended for Mr. Ströher's native city of Darmstadt on the condition that a museum be built to house and exhibit it. However, funds were not available. As a result, the collector's heirs chose to sell the top pieces to the city of Frankfurt, where they entered the MMK. Today, visitors from around the world can enjoy an esteemed collection of American Pop Art in the context of international contemporary movements. 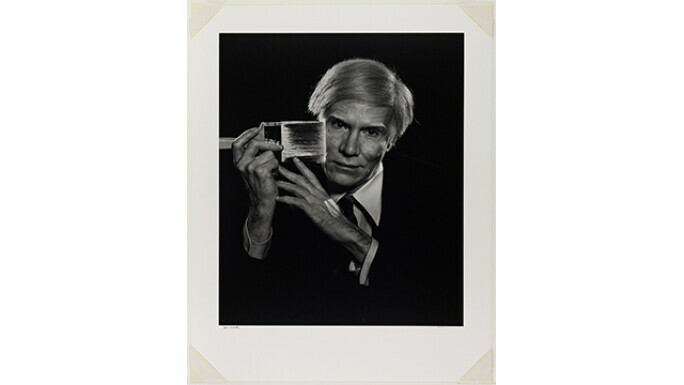 Yousuf Karsh, Andy Warhol, 1979, gelatin silver print. Image courtesy of the Detroit Institute of Arts. The Detroit Institute of Arts has one of the most extensive and treasured art collections in the US, with more than 65,000 works spanning the history of artistic practice globally from the earliest civilizations to the present day. Its holdings of Warhols is no less extensive, including both large-scale screenprints such as the Mao series and Jackie works as well as the heavy-hitting Electrical Chair works of the mid to late 1960s. Its notable for another reason; the DIA also includes photographs of the artist captured by contemporary photographers such as Yousuf Karsh. These photographs contextualize the work and give life to an artist often mistakenly termed a 'machine' for his use of The Factory. 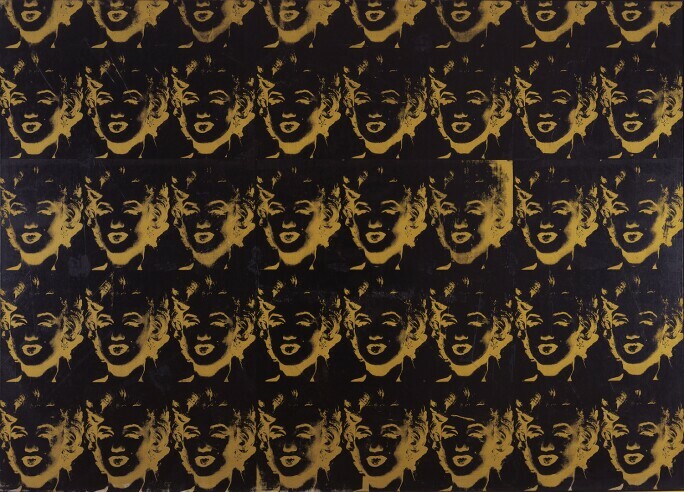 Andy Warhol, Forty-Five Gold Marilyns, 1979, silkscreen on canvas. Image © 2018 Andy Warhol Foundation for the Visual Arts / Artists Rights Society (ARS), New York. Image courtesy of the Leeum Samsung Museum of Art. Across the globe in Seoul, South Korea, the Leeum's collection of international art focuses on works produced since 1945. The extensive collection ranges from the pioneering work of Alberto Giacometti, Francis Bacon, Mark Rothko, Joseph Beuys, and Andy Warhol to established contemporary artists including Damien Hirst, Jeff Koons, and Andreas Gursky. In its permanent collection galleries, one room - with the given name of 'Beyond Boundaries' - is dedicated to Pop Art of the 1960s and the work it influenced through the 1970s and 1980s. Here, late Warhol works are juxtaposed with art by Cindy Sherman (whose self-portrait photographs also played on notions of artifice, celebrity, and portraiture), Richard Prince (who, like Warhol, pushed to expand the realm of art to include popular culture), and Nam June Paik whose use of television screens and monitors speak in concert with Warhol's early screen printed depictions of the suburban TV set and popular advertisements. One of the most captivating works in the collection is Andy Warhol's 1979 silkscreen on canvas, Forty-Five Gold Marilyns. Since the actresses death in 1962, Warhol experimented with images of Marilyn, using photos of her film posters as the basis for his series. The emphasis on repetition recalls the flashbulb of the paparazzi; the gold suggests the glitz and drama of Hollywood celebrity. That said, the work carries a darker message and overtone. Painted on a black canvas and appearing much like a film negative, the monumental work is undeniably evocative of death. Here, we are reminded of Marilyn, but also of the tragic circumstances of her death - too much attention, too many appearances, and the fatal consequences this toll took on the young star.